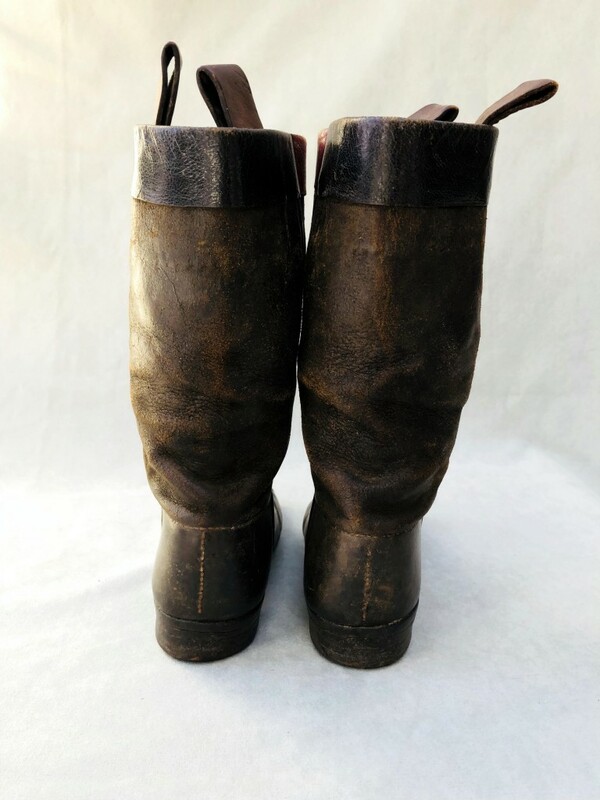 Early child's boots in the style known as Coffeyville, ca 1880. 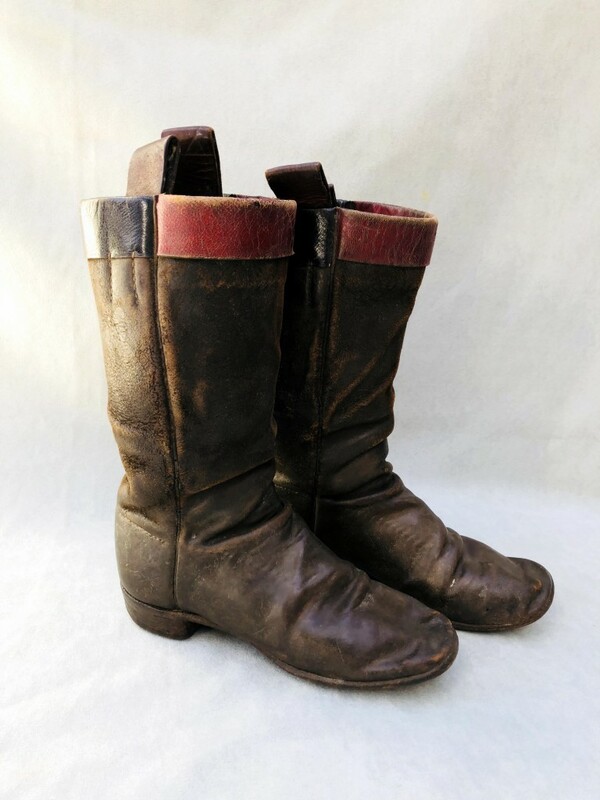 These are the earliest style of western boot and take their name from Coffeyville, Kansas. 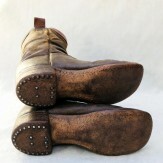 They are usually two or three pieced together pieces of leather, and built on one last (no left or right). 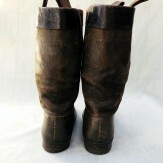 The purchaser would try on two boots, choosing ones that felt good - and through wear, a left and a right were developed. 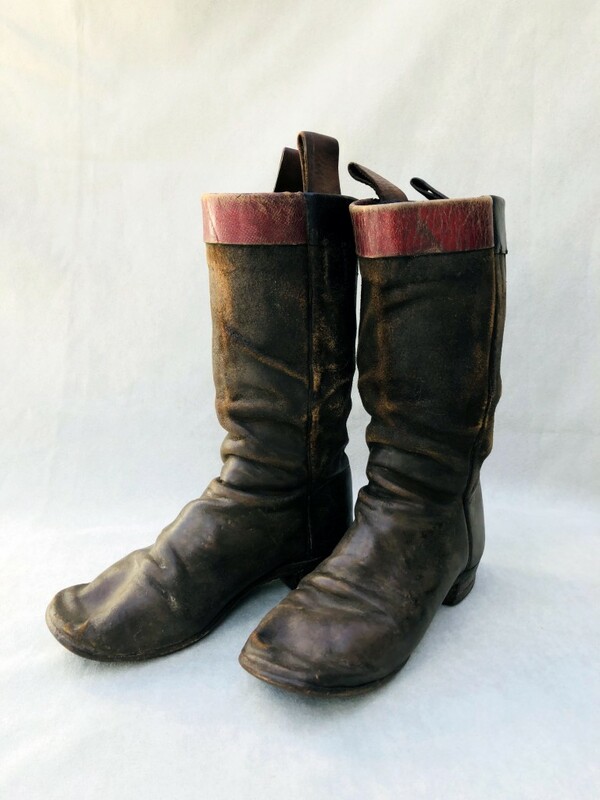 Children's boots are scarce. 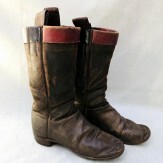 These are exceptionally fancy, with a red lining at the top. 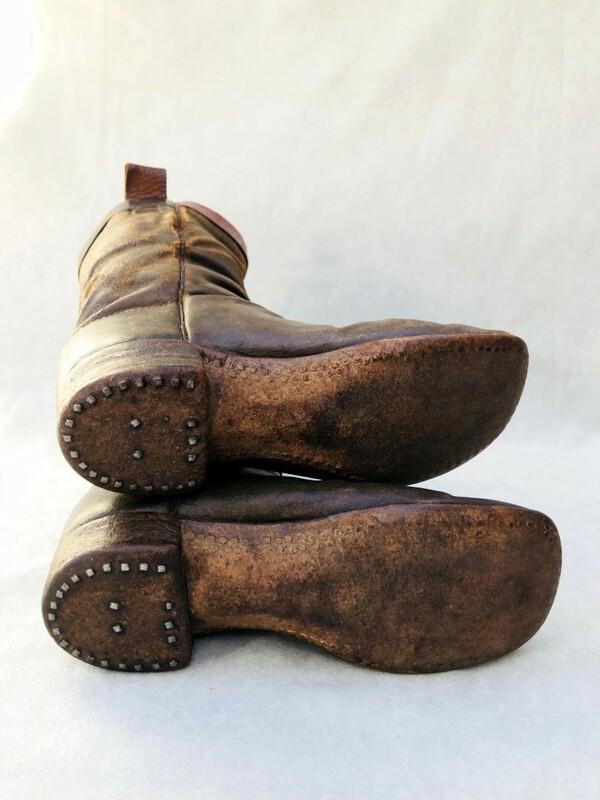 Great signs of wear. 9 3/4" high, 7 1/2" long. Size: 9 3/4" x 7 1/2"